Happy Memorial Day weekend, Zimriders! With summer around the corner and a holiday on Monday, this weekend is perfect for a road trip. San Diego, Las Vegas, San Francisco and Los Angeles are just a few of the awesome driving destinations this weekend on Zimride. 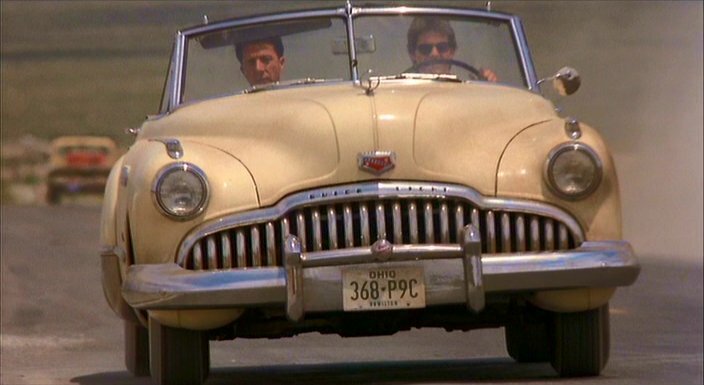 To toast Memorial Day weekend we bring you our Top 10 Road Trip Movies* of all time. Enjoy and safe (+shared) travels! Planes, Trains & Automobiles – John Candy and Steve Martin in a John Hughes film…enough said. Rain Man – On a Zimride with Charlie Babbitt, pit stops to catch Judge Wapner on People’s Court are a must. Little Miss Sunshine – This family flick is just as funny as it is heartfelt. Thelma & Louise – Female bonding at its finest. Sideways – After Miles famously refused to drink merlot, U.S. sales of the varietal actually dropped. Easy Rider – Don’t miss the soundtrack in this classic biker movie. R.I.P. Dennis Hopper. The Motorcycle Diaries – A young Che Guevara hits the road on his motocicleta. Fear & Loathing in Las Vegas – Hunter S. Thompson’s psychedelic desert trek to find the American Dream. Cars – We love a good Pixar film…especially one with talking Cars! All photos courtesy of MGM. They make awesome movies! Getting ready for your summer road trip? Come join the fun and listen to this week’s Zimride Road Trip Playlist. Every week we ask the Zimride community for their favorite tunes and here is what we have queued up. Have a song recommendation you want to add to the mix? Share with us on our Facebook page! During the UC Santa Cruz fall quarter of 2010 my drives home to Southern California were ridiculous. Deyanira (in the left of the picture), the other half of my serious relationship, lived in the heart of Orange County. $45 bucks on gas each way literally sliced my wallet in half – but I had to do it. The love of my life lived almost seven hours away – and I was determined to do anything to make it work. All I can remember from those two and half months was racing out of my last class of the week, buying two Redbulls, and hitting the road. The gas killed me, but the look on her face right after midnight was soooo worth all the leg cramps and twitching eye-sockets. It was worth the drive every time and I couldn’t complain. I loved my first Zimride. Three other UCSC students and I were all headed to SoCal – they kept expressing their gratitude for the ride. Little did they know, I was way more thrilled than they to be making so much dinero. My gas was covered completely, and I even had some left over to take my lady out on a moon-kissed date. This same excitement continues on every single Zimride. With all the cash and smiles, how could it not?! To make a long story short – Deyanira moved up a month after that first Zimride. I’d like to think it was all the energy I put into seeing her so often and making so many trips to SoCal. After all, long-distance relationships are more than geographically “long-distanced” – you really have to find a way to remain as close together as those first few months of puppy love. Since the move, we have driven down to SoCal to visit her and my family (February 2011 to March 2012) at least THIRTY-TWO times! Thanks for the story Lauren! Any guesses on how much Lauren has made? Check out her Driver Tips to learn her secrets of being an awesome Zimrider. If you have a story that you want to share, please send your Zimride Story from the Road to community@zimride.com!